You really don’t want to watch this postgame wrap from Charlotte as Chris Graham and Scott German alternately talk each other onto and then partially off of various ledges as they discuss #16 seed UMBC’s 74-54 upset of #1 national seed Virginia. Seriously. It’s like watching a replay of a guy tearing his ACL. How far can #1 Virginia go in the NCAA Tournament? 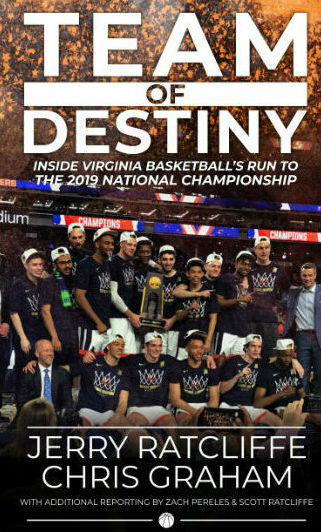 Chris Graham and Jeff Fife look back at the 2018 ACC Tournament, talk a little behind the scenes stuff from Brooklyn, then look ahead to #1 Virginia’s opening game in the NCAA Tournament. 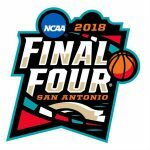 Chris Graham joins “The Mark Moses Show” to break down the 2018 NCAA Tournament, bracket by bracket. 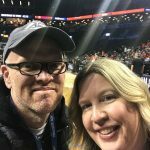 Chris Graham and Crystal Graham report from the Barclays Center in Brooklyn after #1 UVA’s 71-63 win over North Carolina to win the 2018 ACC Tournament Championship. Chris Graham and Crystal Graham break down #1 Virginia’s 64-58 win over Clemson in the semifinals of the 2018 ACC Tournament. Video from interviews with AFP editor Chris Graham talking with UVA players Kyle Guy, Ty Jerome, Devon Hall and Isaiah Wilkins after Virginia’s 75-58 win over Louisville on Thursday at the 2018 ACC Tournament. Chris Graham and Scott German break down #1 Virginia’s 62-57 win over Notre Dame to conclude the 2017-2018 regular season. Getting you ready for UVA-Louisville, ACC-NCAA review, plus … what was Jay Williams thinking? Chris Graham and Scott German preview Thursday’s ACC clash between #1 Virginia and Louisville, weigh the upset losses of Duke and UNC heading into their rivalry game on Saturday, and then try to make sense of ESPN analyst Jay Williams calling for a players boycott of the Final Four. 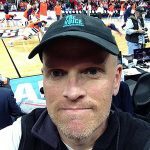 The Mark Moses Show is joined by Chris Graham of the Augusta Free Press to get his thoughts on the latest NCAA Basketball FBI investigation and how Roundy Rousey is doing so far in the WWE. Listen to The Mark Moses Show weekday afternoons from 3-6 pm on Sports Radio 1560 The Fan & sportsradio1560.com. One-and-dones, paying players: Can the NCAA reform itself before it’s too late? Chris Graham and Scott German start off today’s podcast innocently enough, breaking down the ACC’s NCAA Tourney prospects. Then things turn serious, discussing the Sean Miller FBI wiretap story, leading to a back-and-forth on what the NCAA needs to do to reform itself, before it’s too late. And it may already be too late. 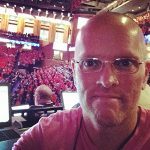 Chris Graham and Scott German continue dealing with their way, way too long UVA hoops blackout, talking ACC basketball, and previewing the 2018 Virginia baseball home opener. What do UVA basketball fans do with no UVA basketball? UVA basketball has the weekend off, no games until next Wednesday, and a #1 national ranking. 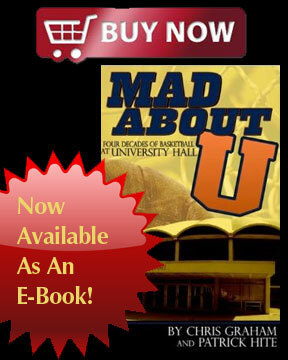 Which means UVA basketball fans are going stir-crazy and in need of a fix. 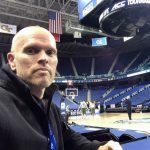 Chris Graham and Jeff Fife do their best to try to fill the void, talking ACC hoops, what the ‘Hoos need to do to get ready for March Madness, then talking some pro wrestling to wrap things up. 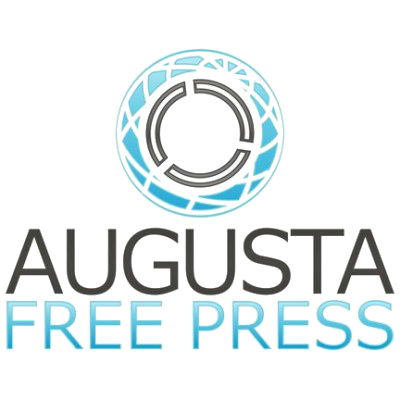 The Mark Moses Show is joined by Chris Graham of The Augusta Free Press to get his thoughts on the latest ACC Basketball news for a Tuesday and if Chris has watch any of the 2018 Olympics or not.